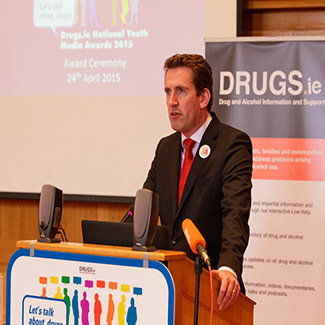 The winners of the "Let's Talk About Drugs Media Awards 2015" were announced on Friday 24th of April 2014 at an awards ceremony in the Department of Education Clock Tower Building on Marlborough Street. 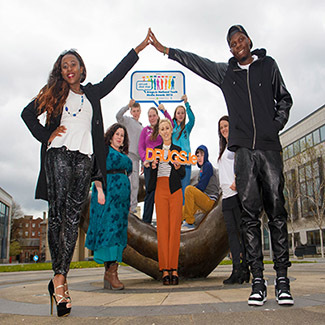 Organised by the Ana Liffey Drug Project’s Drugs.ie initiative, the awards were created to encourage the journalists, reporters, film enthusiasts and animators of tomorrow to start writing and talking about the drugs and alcohol issue in Ireland today. Special guests Ciaran Darcy (Irish Times) and Ciara Kelly (Operation Transformation, Newstalk, Sunday Independent) were in attendance to hand out the prizes alongside Nicki Kileen of the Ana Liffey Drug Project. The overall winner was chosen from the category winners and was presented with a trophy and cheque fro €2,000 from Ruairi McKiernan (founder of youth website SpunOut.ie, campaigner, writer, speaker, and Presidential appointee to Ireland's Council of State). Below are details of the winning entries.